One of the books I will be using in class this Fall is Sanyan Stories by Feng Menglong. In class we will be using the much condensed version from University of Washington Press, but students will also have the option dipping into the full 3- volume edition for their projects. Feng Menglong (1574-1646) was a late Ming folklorist, card sharp, classical scholar, frequenter of the pleasure quarters, civil-service examination failure and local bureaucrat. He is best known for his massive collection of vernacular stories which has been translated by Yang Shuhui and Yang Yunqin. He collected, edited and published three collections of vernacular tales that are both a pivotal part of the evolution of Chinese fiction and a lot of fun to read. One of the stories that stuck me was “ ‘Li the Banished Immortal’ Writes in Drunkenness” from volume 2. 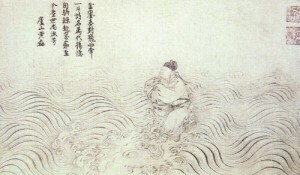 Li is of course Li Bai China’s most famous poet, and it is great to find a fuller version of some of the apocryphal stories about him. As one might expect for a poet so famous he ends up at court, and he will spend the whole story involved in political intrigues. As a famous poet he is someone the powerful want to be associated with although he, as a famous poet, tends to want to run off an be a hermit. Needless to say, giving Li Bai a coupon for unlimited free wine is like….well, giving Li Bai a coupon for unlimited free wine. (I’m not the master of metaphor here.) Despite the fact that he has nothing more important to do than drink and write, Li spends some time using his status to chastise overbearing local officials. He also spends some time trying to avoid being added to the court of an usurper and, of course, drinking a lot. 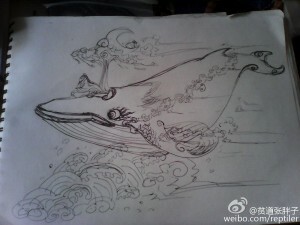 In the end he ascends to heaven on a whale. 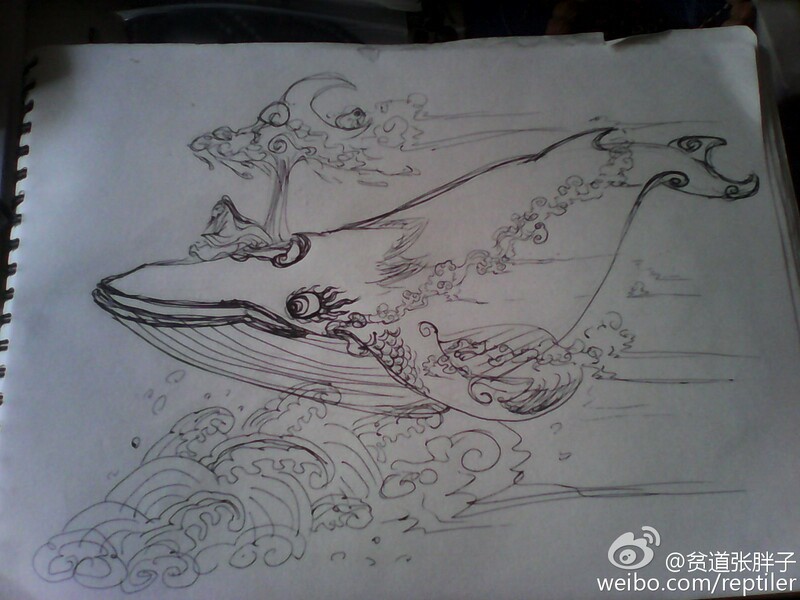 At first I thought this might be a kun 鯤, like in Zhuangzi 1.1.. A quick google search found me two pictures however. I am partial to the second one. I think I have that collection… I end up with a lot of interesting UW press books because they’re the only UP that comes to ASPAC. I better check, otherwise I could end up with two copies after next month. Sounds like something I’d like using as a text myself.